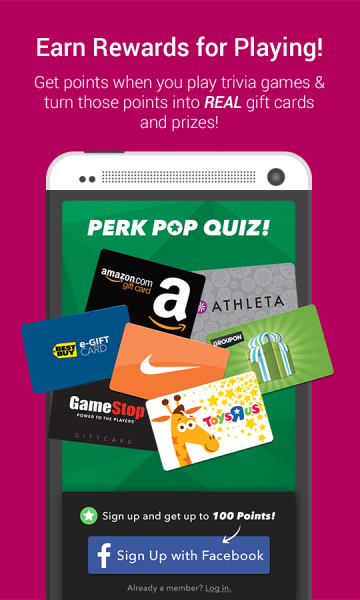 Click here to claim Perk Pop Quiz!. 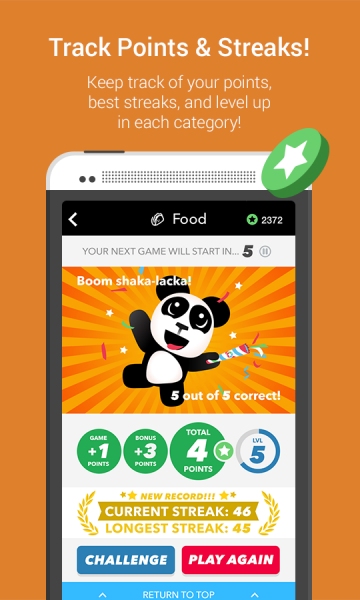 Earn gift cards for playing trivia with Perk Pop Quiz! 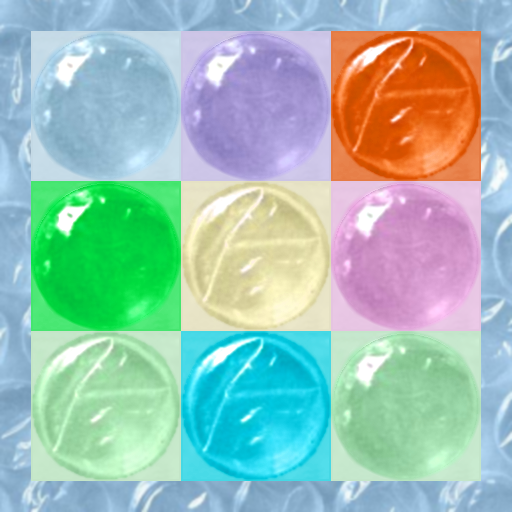 The more answers you get correct, the more Points you earn. Points can then be exchanged for real gift cards from Amazon.com, Starbucks, Nike, GameStop, Target +100's more of your favorite brands. ... And many more added every day! 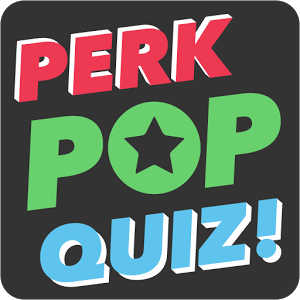 Download Perk Pop Quiz! from these app stores today. 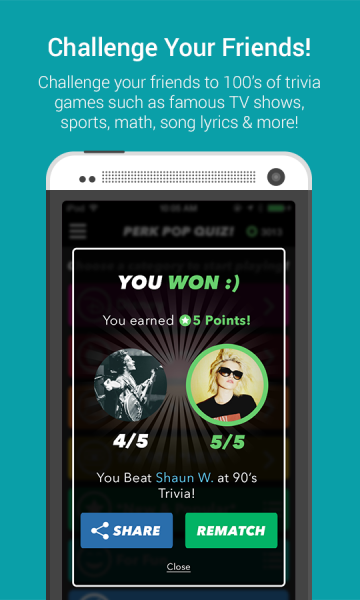 Screen Shots of Perk Pop Quiz!